Lieutenant Callum Harper hadn't intended on punching his commanding officer quite so hard. But maybe it wasn't such a bad turn of events. 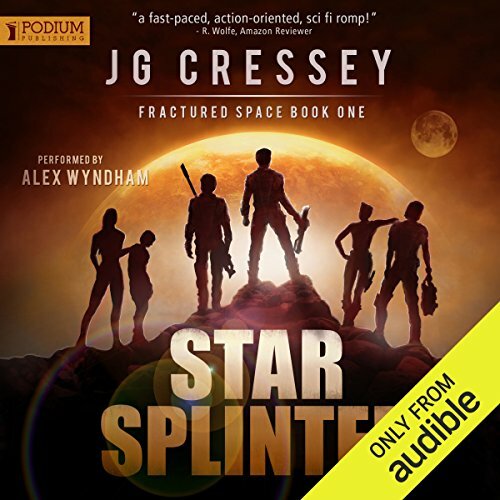 Court-martialed and dumped on a reject raft bound for Earth, Cal feels optimistic about a life where getting blown up, shot, or even eaten is altogether less of a concern. And, more importantly, a life where the only person he's responsible for is himself. Unfortunately fate doesn't favor the mundane. 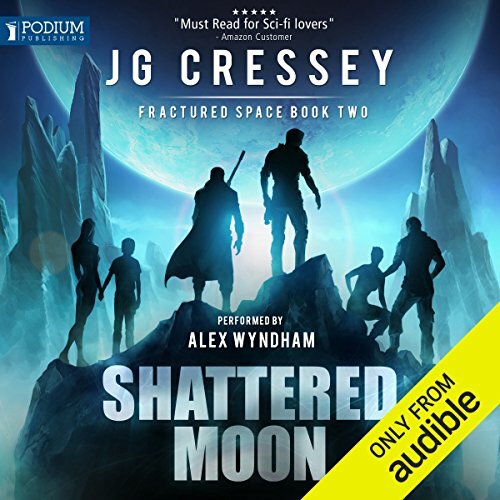 Crash-landing on a lethal planet, and with technology failing all around him, Cal must take his fellow passengers under his wing in order to survive and unravel the reasons behind their situation. But the cause is far worse than any of them could have imagined, for theirs is a small part of a much larger crisis. Colonized space is under attack. Humanity is on the verge of chaos. And those who enjoy such anarchy are already beginning to thrive. Yet Cal and his new companions will discover that mankind isn't the true threat, not by a long shot. Ok J.G. Cressy, I'm ready for another. After eight desperate months of searching, Cal Harper and his crew still haven't discovered Kaia's whereabouts. Taken by pirates during the rescue of Federation survivors, her fate remains uncertain. But so too is the fate of humanity itself. With the destruction of Earth, the Insidions have struck a devastating blow only to sink back into the shadows to let the poison spread. Thousands of colonies have been forced into self-sufficiency, and the loss of interstellar communications is making the situation infinitely worse. So many wonderful characters and worlds.